Developers will be able to opt out if they have their own moderation team in place. From September 25, Valve plans on moderating the many forums that belong to Steam's games. 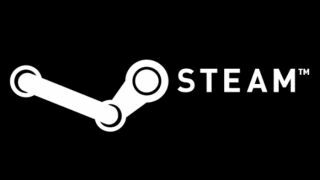 Currently, Valve reviews reported content on Steam such as screenshots, artwork, user profiles, community groups, and user reviews, but it's down to the developers to keep an eye on their own forums and respond accordingly. So, what's changed? It seems that an increasing number of developers have been contacting Valve, requesting help with their communities, specifically "handling posts that are reported by other players." Until now, Valve has refrained from stepping in, stating that it "didn’t want to step on the toes of game developers that want to have their own style of communication with players and their own set of guidelines for behavior." With that in mind, developers will be able to choose to "opt out" if they have their own moderation team in place. The planned change won't see Valve "actively perusing your community discussions or posting in threads", instead they'll only contact players if it's absolutely necessary—when issuing a warning or a ban.